Extending its Rustique family of fireclay ceramic sinks, Rangemaster has introduced a one and a third and a one and a half bowl model. Extending its Rustique collection of fireclay ceramic sinks, Rangemaster has now introduced two additional models which can be fitted as undermount or inset. The latest additions include the Rustique one-and-a-third bowl for compact spaces and a one-and-a-half bowl for draining and food preparation. Both of the models feature the same design cues as the classic models, such as deep bowls, and measure 595 x 520mm. 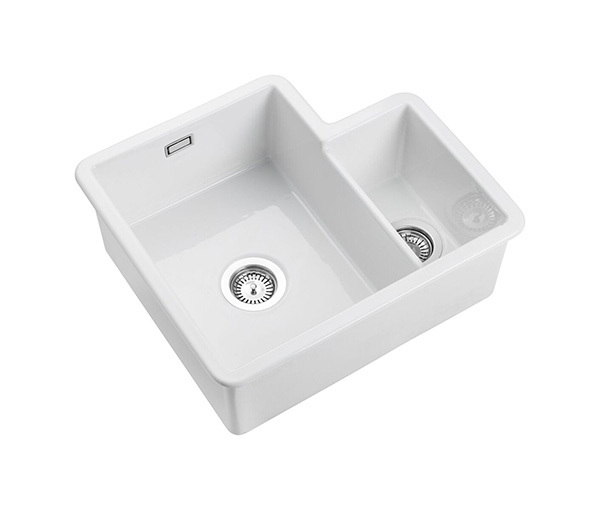 Rustique fireclay ceramic sinks come in a white finish and are available in right-handed versions only.